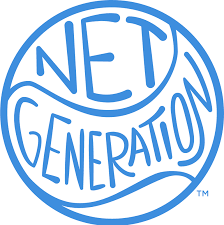 NET GENERATION is USTA’s latest new initiative that will create a impressive network of junior tennis providers, and Craig Morris joins us to tell you more! Craig Morris is the General Manager of Community Tennis & Youth Tennis at USTA. He comes to us from Tennis Australia to head the new, NET GENERATION initiative, which without a doubt will be a game changer in networking providers of American junior tennis! USTA's Craig Morris talks Net Generation with AZ.